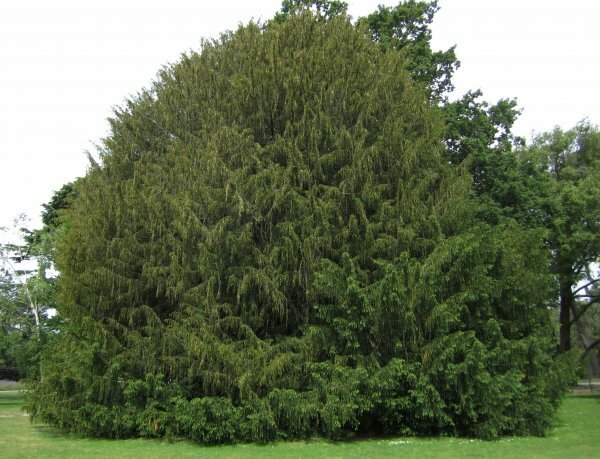 Number 89 in the Burstall and Sale book 'Great Trees of New Zealand', this tree was considered to be the best specimen of two known specimens of this variety in New Zealand. 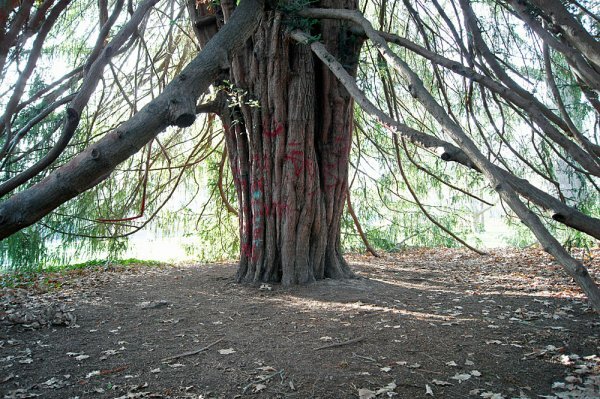 The history of the tree is not known, but it was believed to be over 100 years old in 1984. 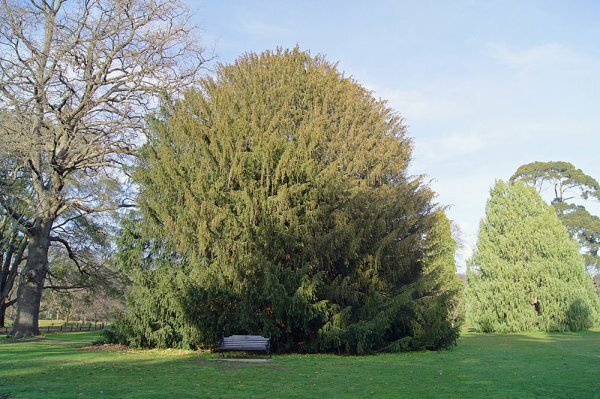 The only other known Westfelton yew in New Zealand was located in the church yard of St. Marys Church (now Cathedral) in New Plymouth, planted by Archdeacon Govett in 1870, but its current status is not known (Smillie 2012). Ref: 'Great Trees of New Zealand' Burstall, S.W. & Sale, E.V. 1984, page 210. Canopy is thinning (Nov 2012). 21 Jul 2012 Smillie, M.J.
Just to the southeast of the rose garden.